Hello 2019 – we hope everyone is feeling refreshed after the break! 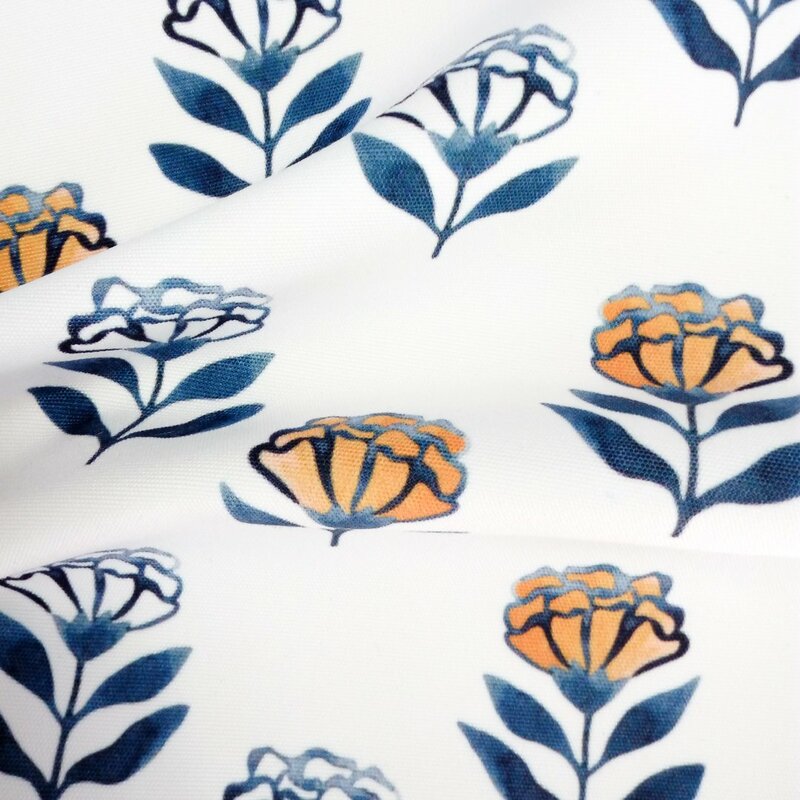 We know it can be hard staying motivated after taking some much needed time off, so to help keep everyone on track with making 2019 a year full of creativity we’ve launched a brand new range of textile designs that feel summery, fresh and timeless. Introducing our Palamporia Collection. When embarking on designing a new range we found ourselves being drawn to the intricately detailed and beautiful tradition of Palampore textiles. These textiles were common across India during the 18th century and often featured hand-painted and hand-dyed designs depicting botanic motifs. 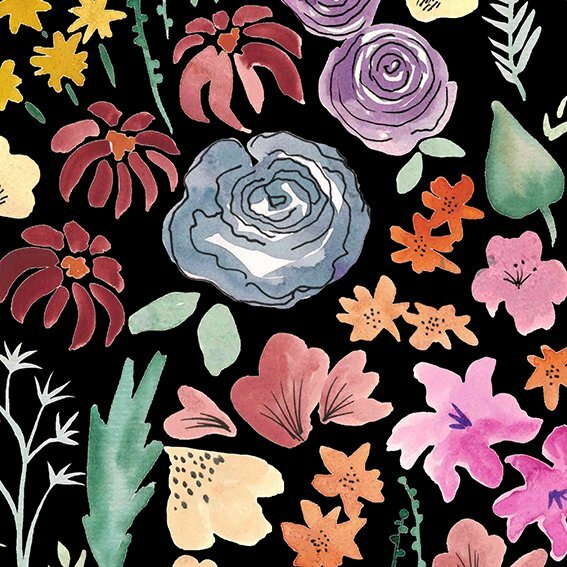 The creative process began by collecting gorgeous reference imagery and local flowers to draw from, and then illustrating the motifs in pencil. 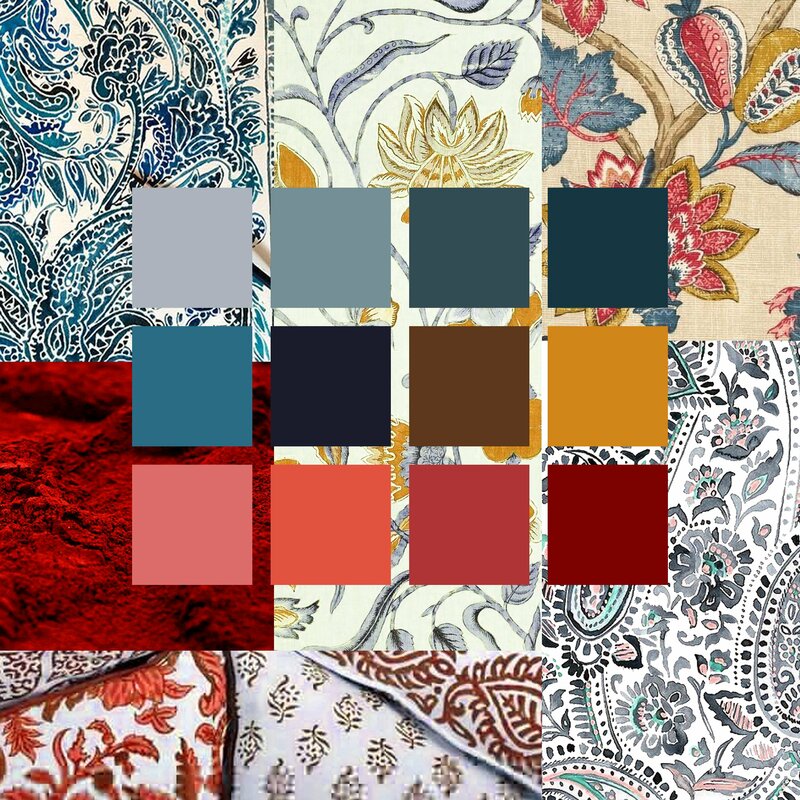 A warm colour palette was then selected inspired by colours commonly found in natural and vegetable dyes, such as indigo and turmeric. The painting of delicate floral motifs using water colours then became a worthwhile labour of love. When putting the textile designs together it was important to mimic the undulating nature of the inky textures with interesting use of negative space and organic placement of elements. In some of the designs that have a more formal layout, the curved lines and water colour medium helps to give them a free-flowing feel. The Palamporia Collection puts a contemporary spin on the tradition of Palampore textiles, providing a pared-back style with a limited colour palette. 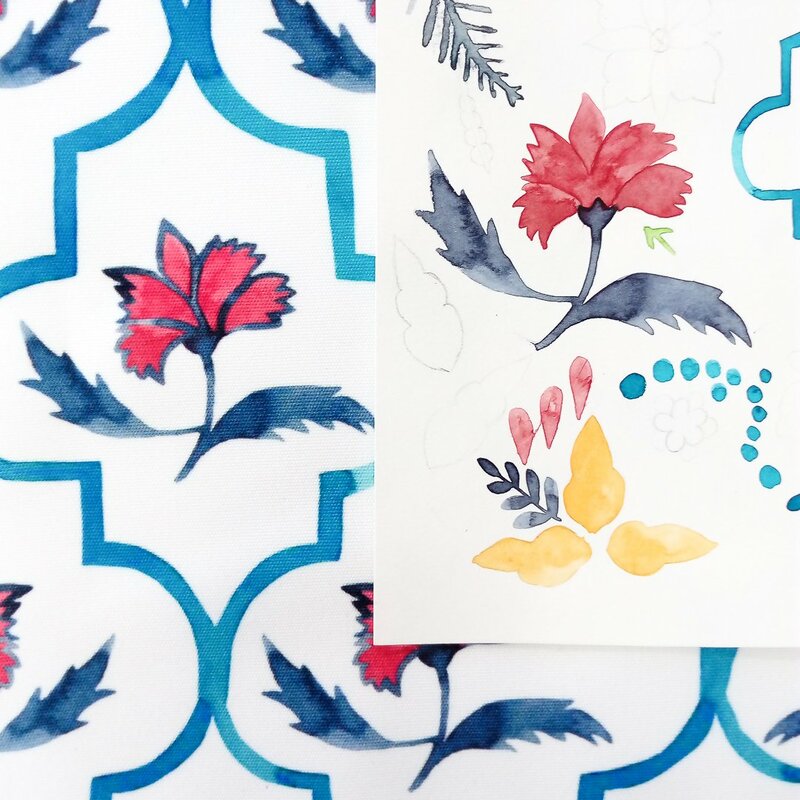 The play between lovingly painted details and crisp negative space shows its versatility. 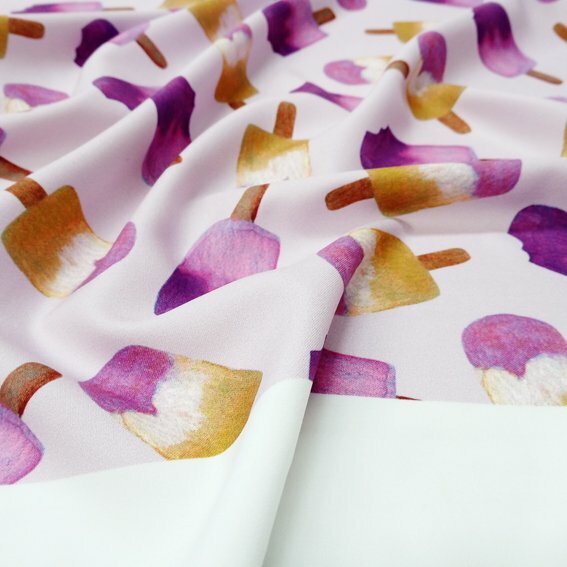 We can see these prints working well for both fashion and interiors applications. 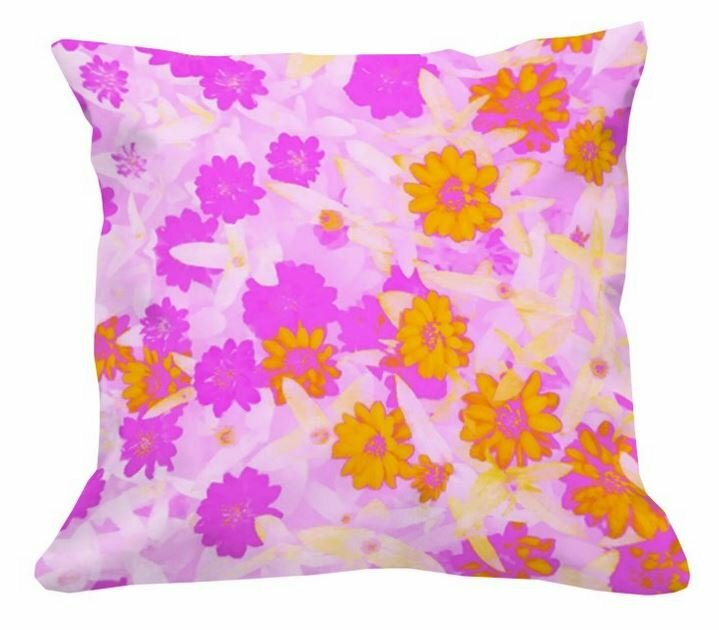 Gorgeous summer dresses and linen pants, and fresh feeling bedding and cushion covers spring to mind. We’d love to know what sort of projects you think these designs would be perfect for so please get in touch! 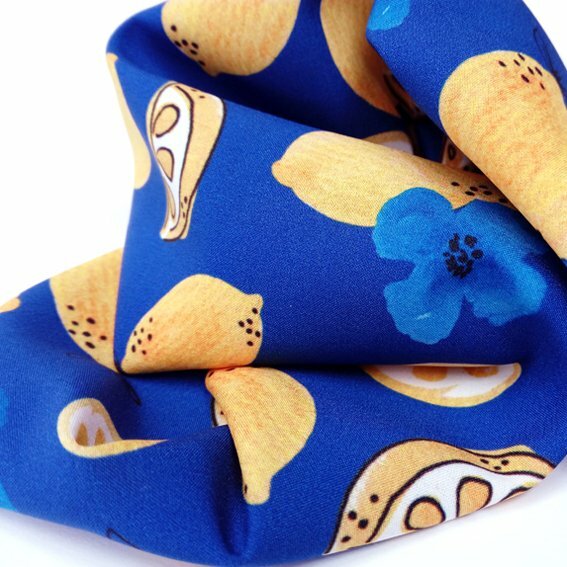 Designs are available in our Fabric Shop now. Flowers and lemons and popsicles oh my! During winter it’s just so easy to find yourself drawn to a neutral colour palette and minimal prints. To help unshackle you from the unlikely effects of the cold we’ve launched a new range of playful textile prints which are anything but drab. Introducing our Garden Party collection! 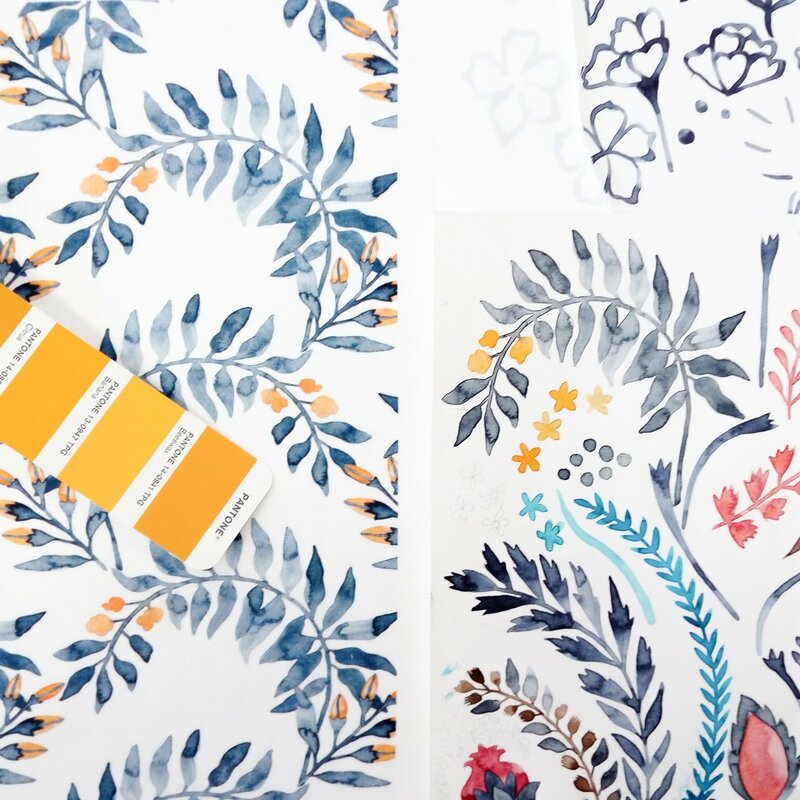 For this range we wanted to use sweeter than pie motifs, a mixture of neutral and bold colours and a consistently light-hearted theme.The quirky designs all began on paper, using pens, pencils and watercolours to create a variety of textures and lines. The artwork was then manipulated, edited and layered digitally to resolve and polish the designs. Figurative designs can sometimes feel a bit too kitsch. To avoid this we combined bold colours with softer hues and mixed both textural and minimal elements within the same design. Negative space was also played around with, and as a result is varied across the designs, as they range from heavily detailed to simplistic. The collection delivers a series of grown up novelty prints for the young at heart with whimsical designs and a statement colour palette! 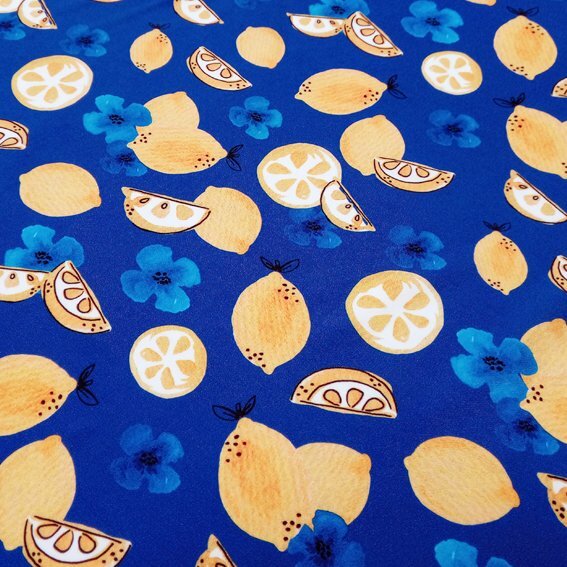 Designs are available in our Fabric Shop now! 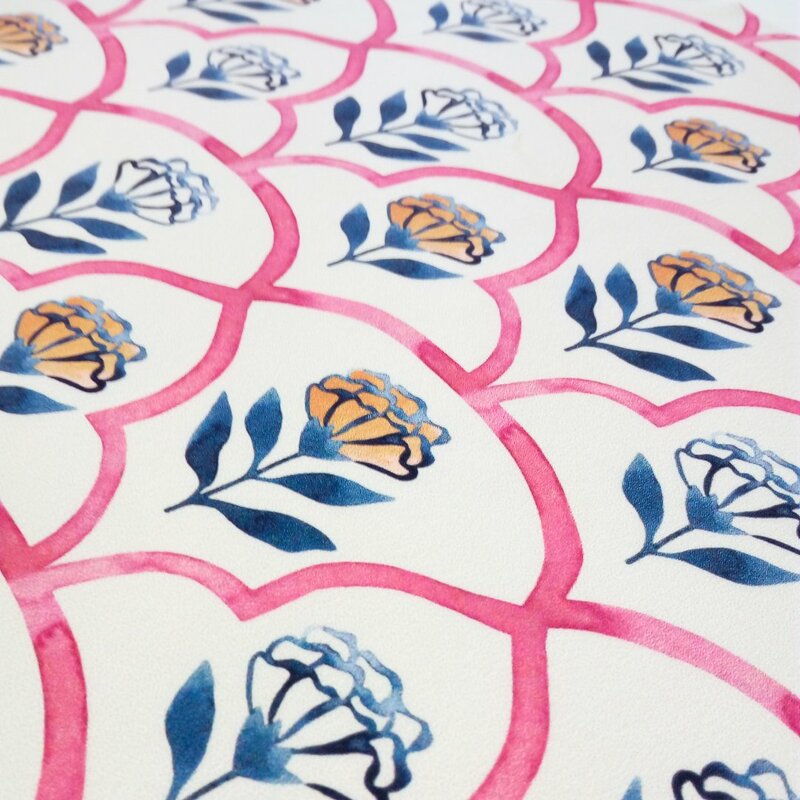 We’ll be keeping a keen eye on what you create with these prints, so get in touch if you have a project in mind! We’re very pleased to announce that we can finally share the new prints that we’ve been working on. 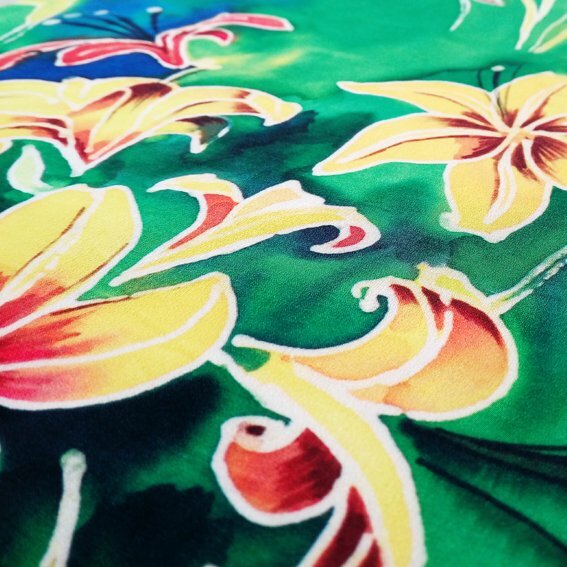 Introducing our latest designs: Hand Dyed and Green Lily! 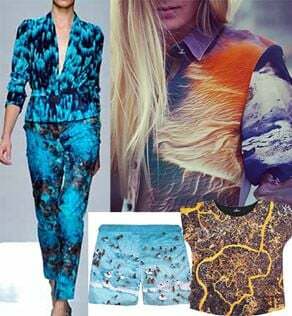 For these new prints we’ve drawn inspiration from the ‘wearable art’ trend! Whilst the term can be used broadly, when it comes to print design think heavily textured dry brush strokes, pools of inky watercolours, emotive gestures of line and colour and scratchy pencil illustrations. 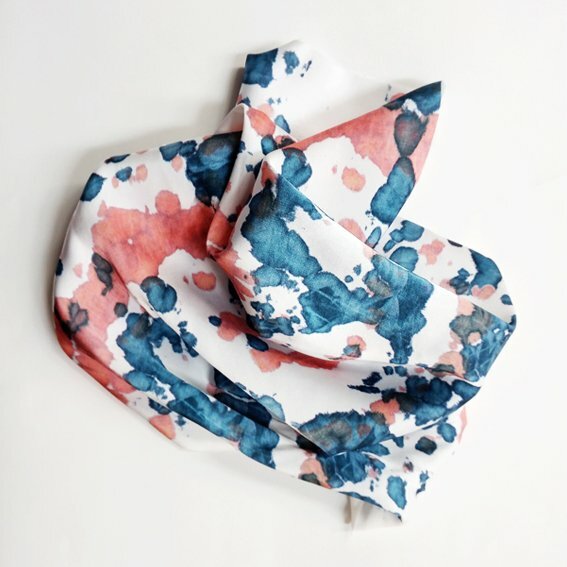 To create our first print we experimented with tie-dying techniques to create a watercolour effect. To steer away from the ultra-colourful, psychedelic designs that tie-dye is often associated with, we wanted to create a print that felt more abstract. 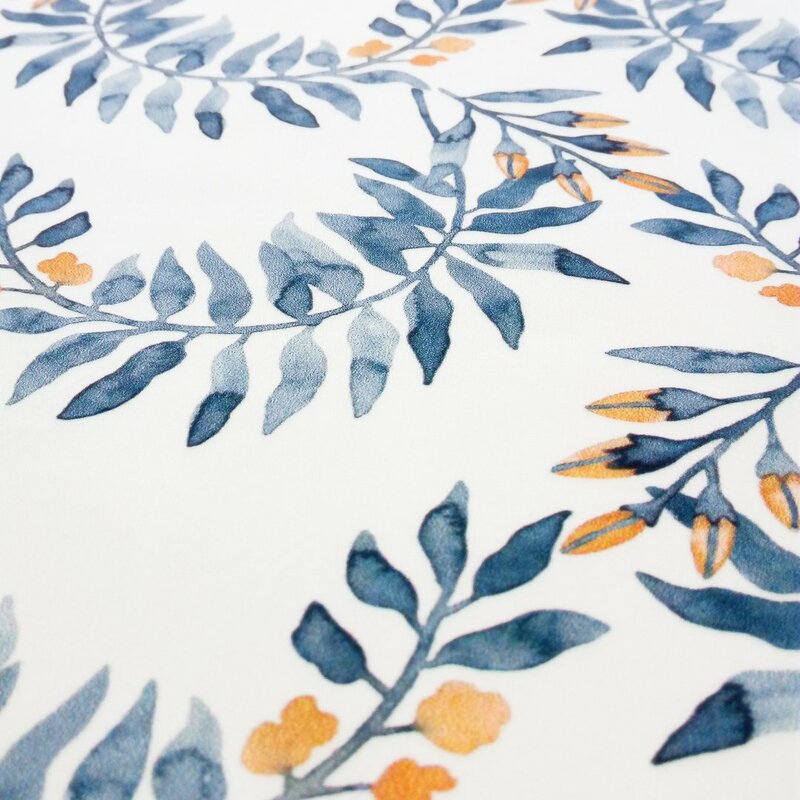 The final design chosen was one with sporadic ink blots, plenty of negative space and a softer colour palette of denim blues and muted corals. 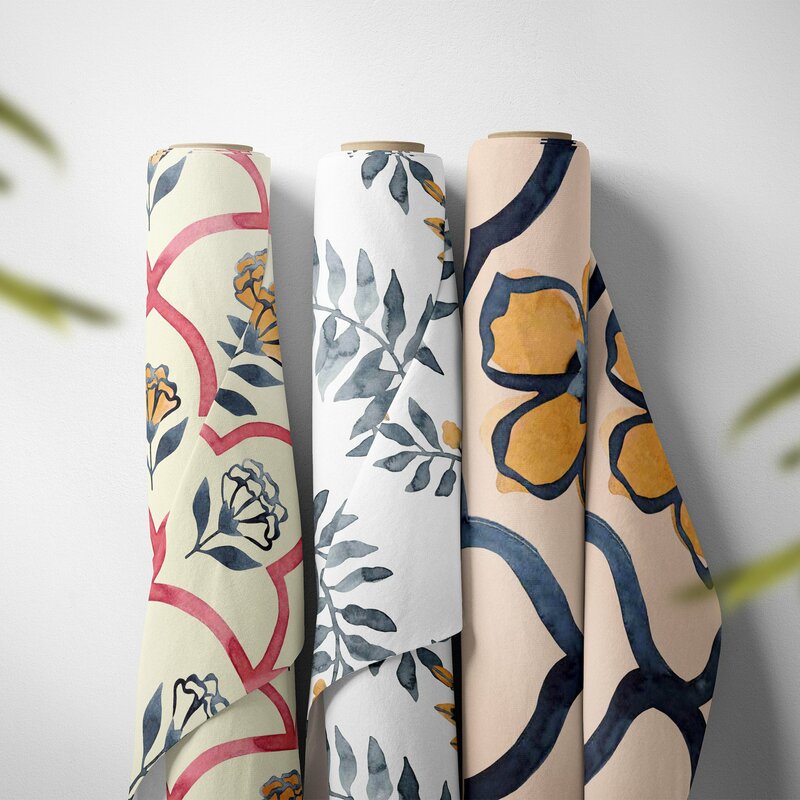 The design’s organic feel and chosen colours gives the print a contemporary feel that we think would work beautifully for both fashion and interiors. 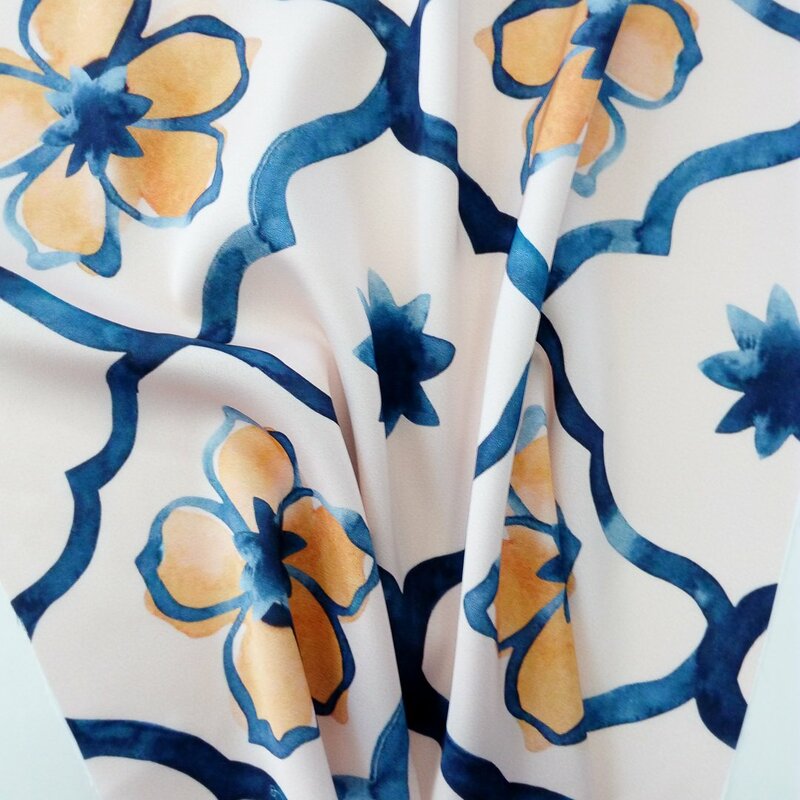 With the success of using tie-dyed fabric as a way of creating a repeat pattern we then tried painting directly onto silk using batik techniques. 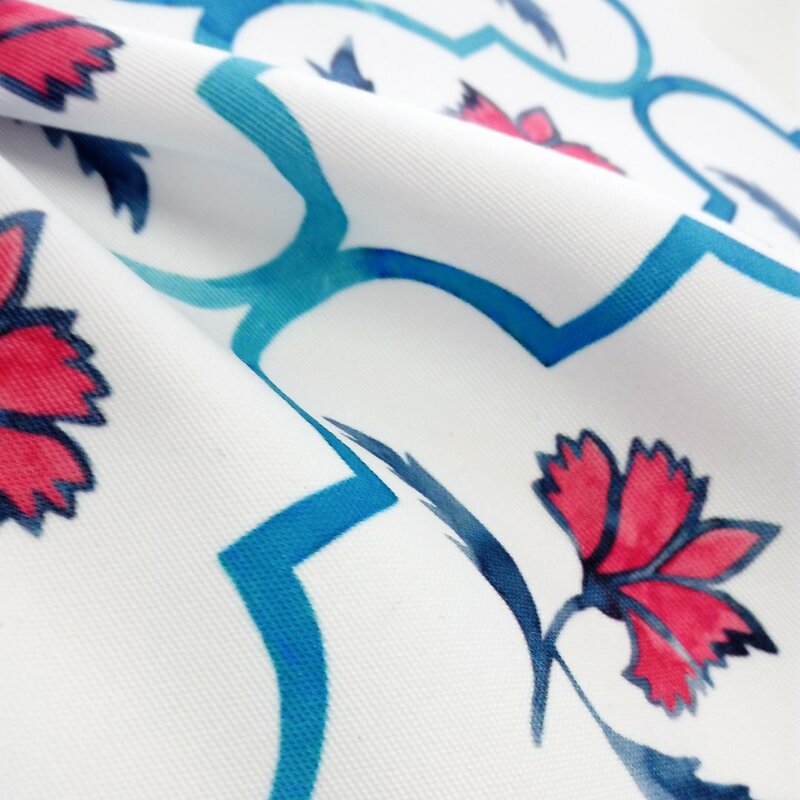 For this print we wanted to create floral motifs that felt looser in their form than those used in our other floral designs. 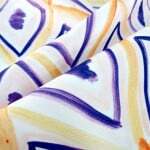 The dyes allowed not only for the creation of flowing motifs, but also an inky, spontaneous feeling background. 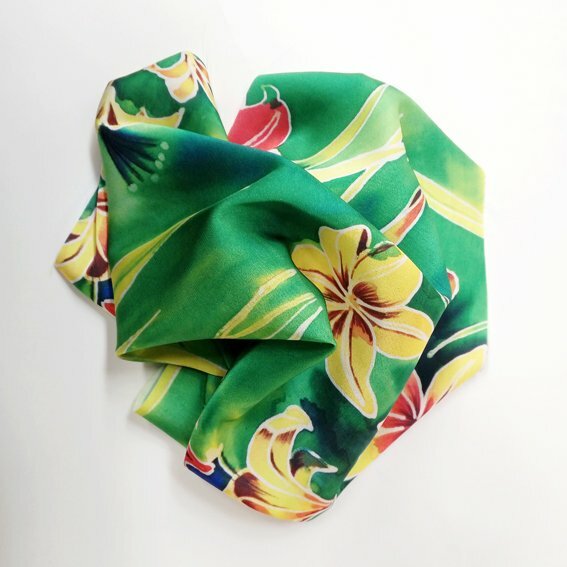 The final design has a free-flowing, tropical quality, and is desperate to be made into gorgeous wardrobe staples such as dresses, trousers and head scarves. 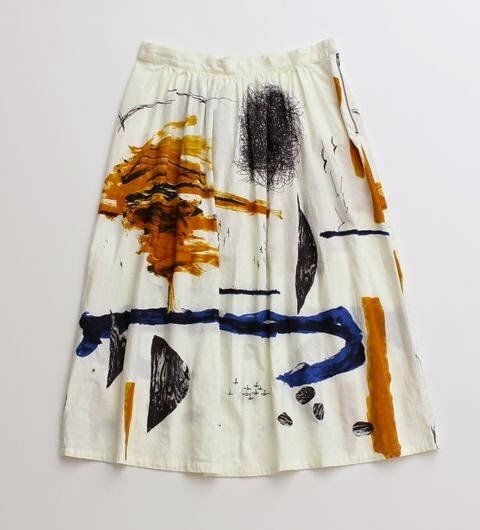 Both designs were resolved as repeat patterns by scanning the original dyed fabric, and then manipulating the artwork digitally. 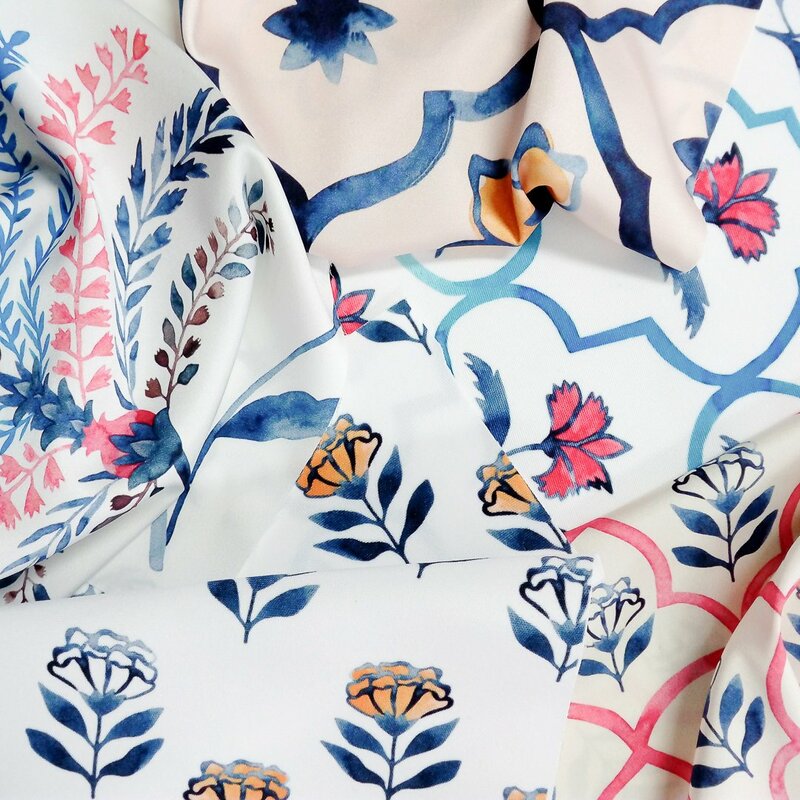 These photographs show the repeats designs digitally printed onto our silk-like fabric Dilly, which beautifully maintains the hand-painted quality of the original artworks. Whether you like prints that are crisp and minimal, or big, bold and colourful, the wearable art trend is certainly one to try! These prints are now available for purchase in our Design Library. 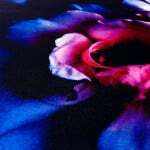 We’re launching a new range of prints at Digital Fabrics! It’s been a little while since we brought you our last set of designs and this time we took a different approach to bringing you new prints. Rather than focus on one cohesive collection, we’ve had three artists create three different prints for you just in time for Mother’s Day! 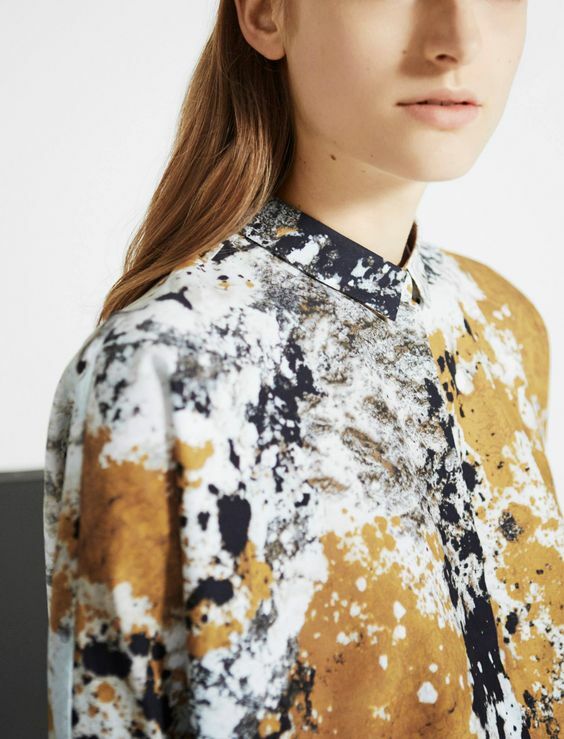 The collection of prints range from flirty to psychedelic to sophisticated, and feature both hand-painted illustration and digital manipulation. With three very different styles represented, we’re sure there’s something for everyone. If you’re needing fresh ideas on what to spoil mum with this Mother’s Day, we’ve got you covered and have put together a few DIY ideas that we just know you’ll both love. A custom made gift speaks volumes, and is guaranteed to be a winner with mum this year! Got accessories in mind for a mum who always looks fabulous? 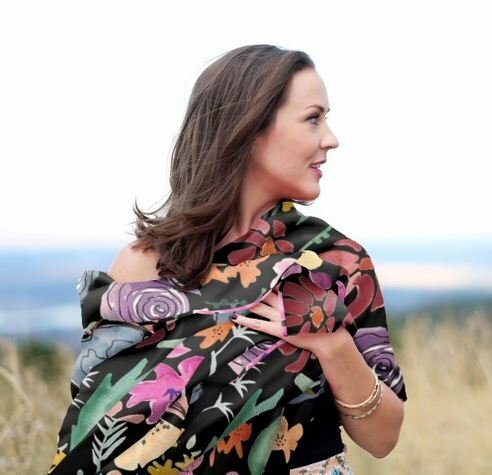 How about making a gorgeous and versatile scarf? 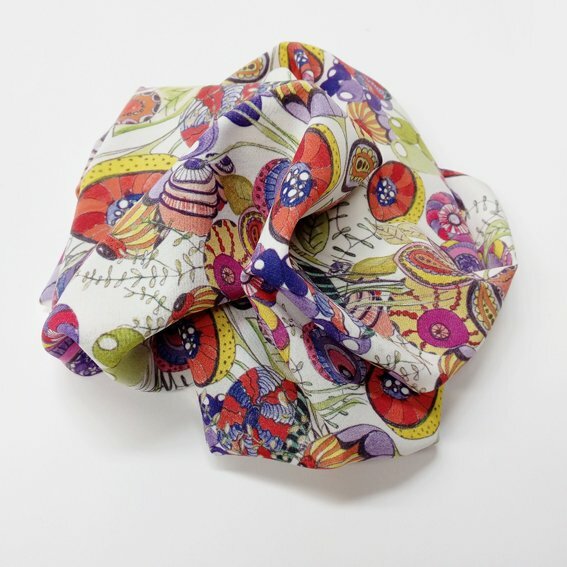 For something bold or bright you might want to use either our Roxy or Dilly fabrics. 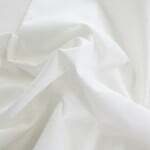 If you were thinking of something a little more sheer we would recommend our super soft Chiffon. 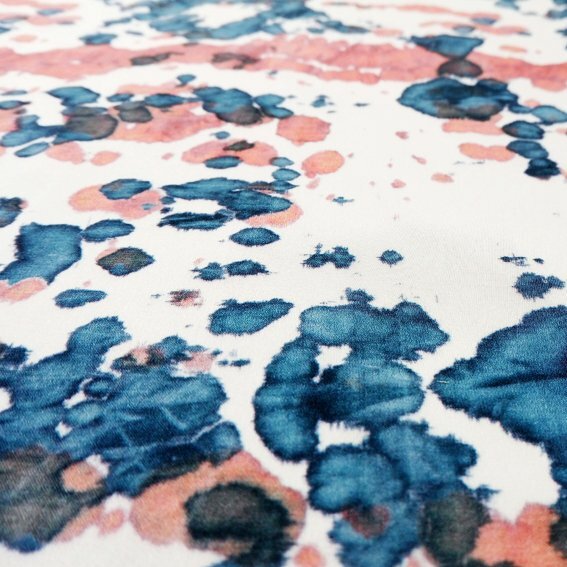 If you think home-wares might be better suited, how about a tablecloth? Our Cotton Linen is an absolute dream for a decadent feeling table setting and our Waratah and Panama fabrics are excellent polyester options for durability. You could also make napkins to match! And we can’t forget the ever perfect gift of a stunning, custom-made cushion! It could be the perfect opportunity to try out our new Organic Cotton Canvas that we’re very excited to introduce! 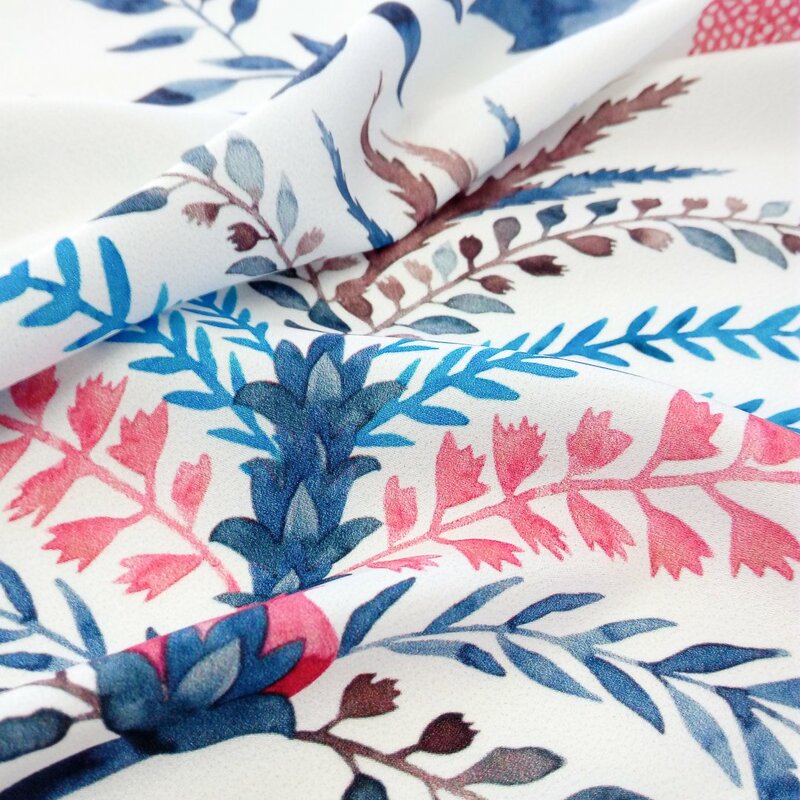 Of course our Cotton Linen, Waratah and Panama fabrics are also perfect for cushion covers too. So whatever your, or your mum’s style, there’ something here to get you started on any handmade Mother’s Day gifts you might have been thinking about. 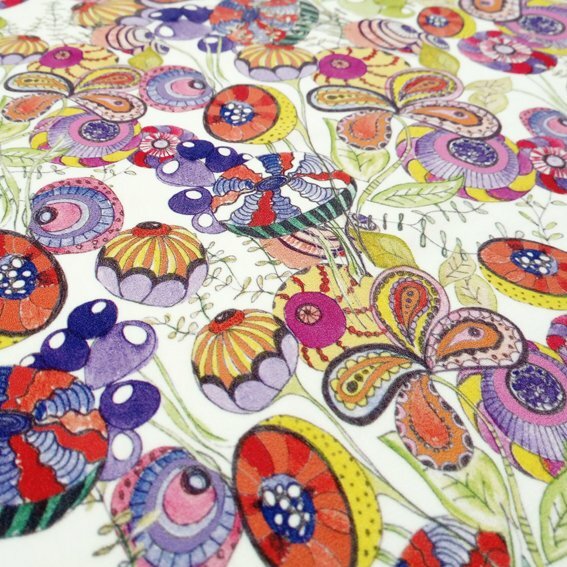 Let us know how we can help you realise your next DIY textile project! 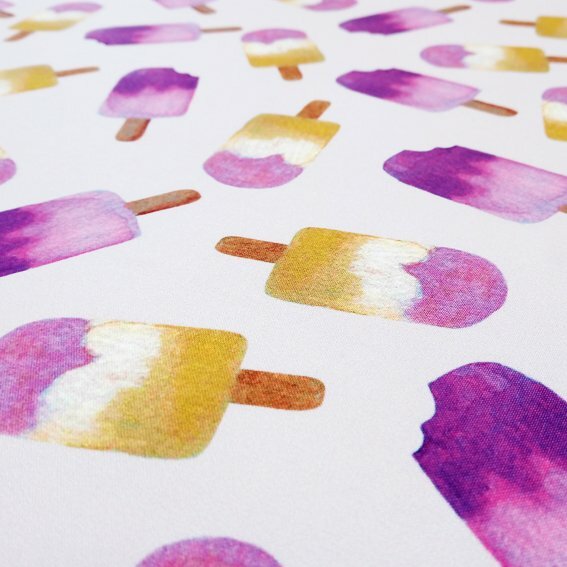 These prints are now available for purchase in our Design Library! Who else is excited for the upcoming Kenzo & H&M collection? 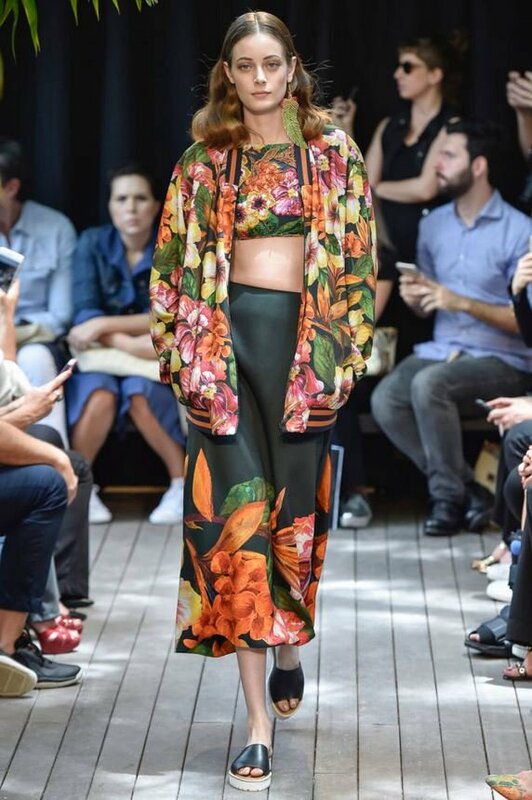 Kenzo have mastered the art of mixing prints with colors and making it look chic with an international twist. 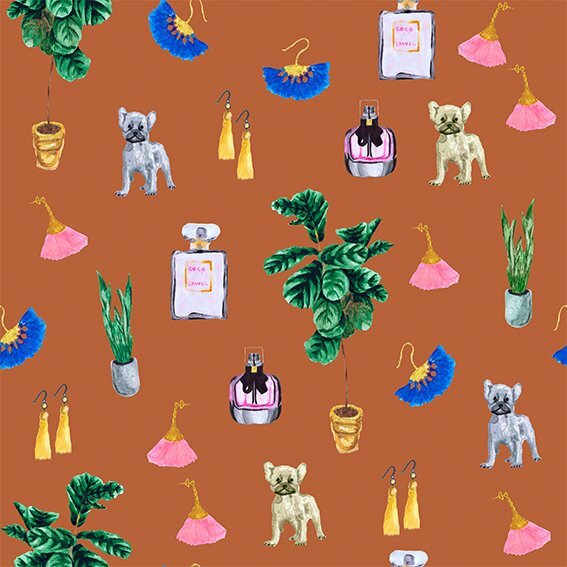 If the Kenzo & H&M collection inspired you as much here are 4 animal print fabrics available at Digital Fabrics Shop that you will love and that you can use in your next fashion design. 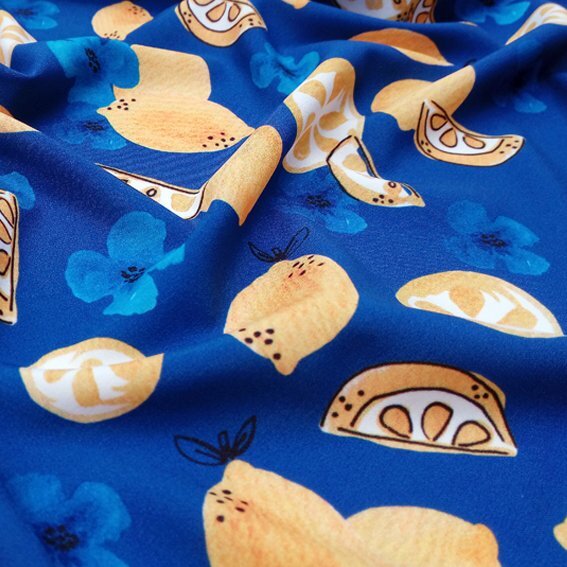 Last week’s Halloween Print Fabric giveaway made us clear that you guys love cats! The cat print was the most chosen print which is why we wanted to delight you with more fun prints for people who love cats. And what’s not to love? Both in real life and on print, cats are beautiful to look at and bring a fun factor. Below you’ll find cat prints inspiration but don’t stop here. 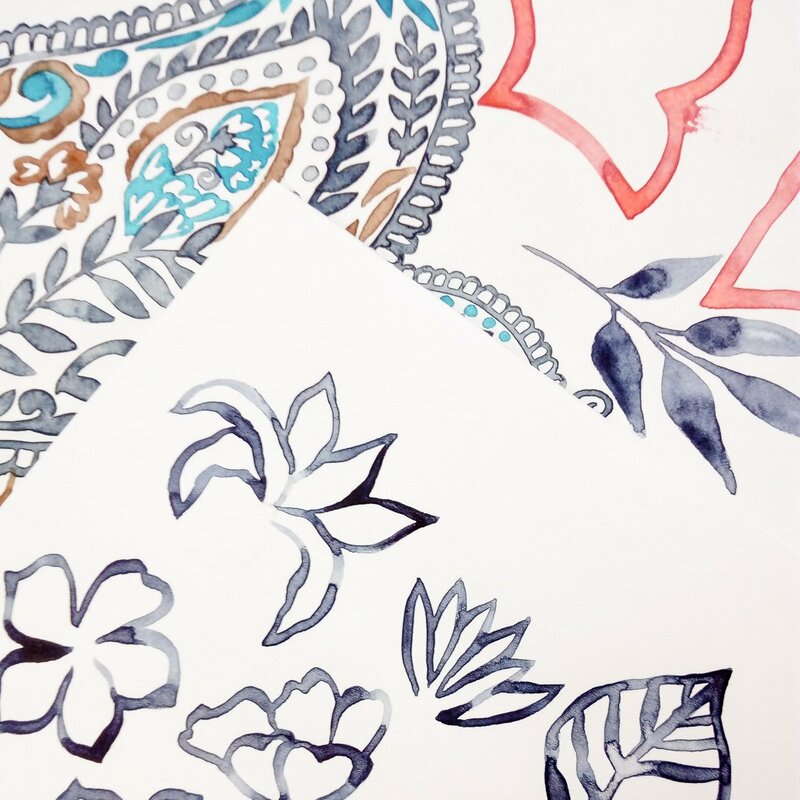 Create a design inspired by your favorite animal and print it on fabric, pillows or leggings. 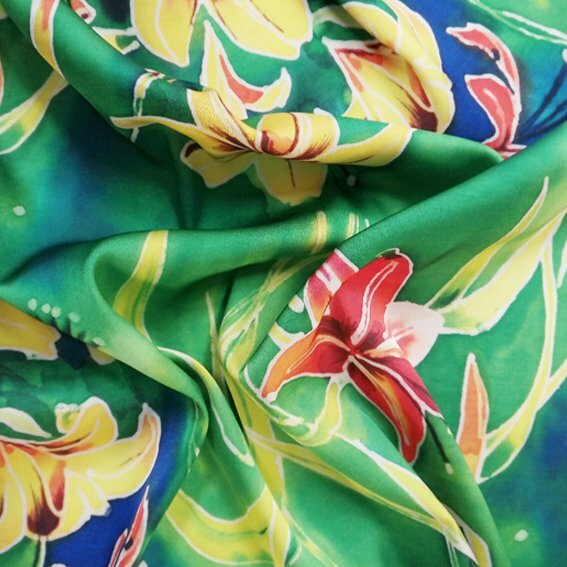 The possibilities are endless and Digital Fabrics helps you bring your creative ideas to life! 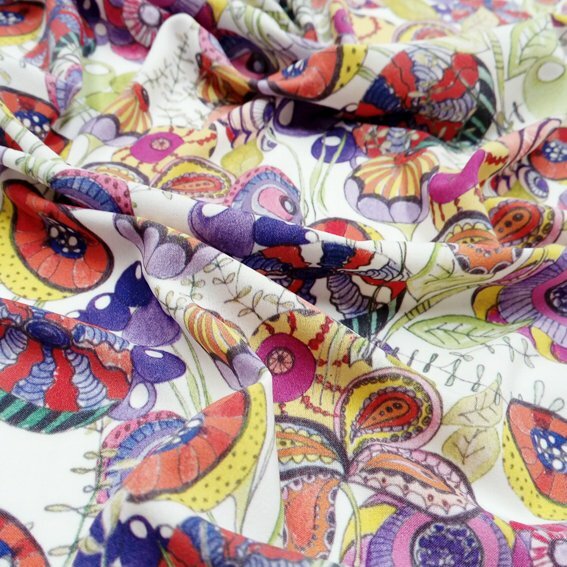 Today it’s World Animal Day so we’re celebrating it with these colorful, animal print fabrics! Whether you love zebra print textiles or the classic leopard style, we have you covered! 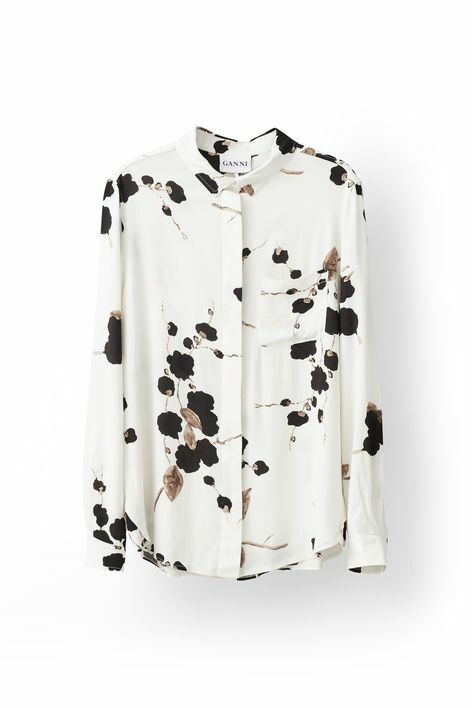 Every year and season, animal prints seem to be omnipresent onto the runway and in the fashion scene. And let’s be honest, animal prints are always a good idea and 10 years from now you will still be wearing them. 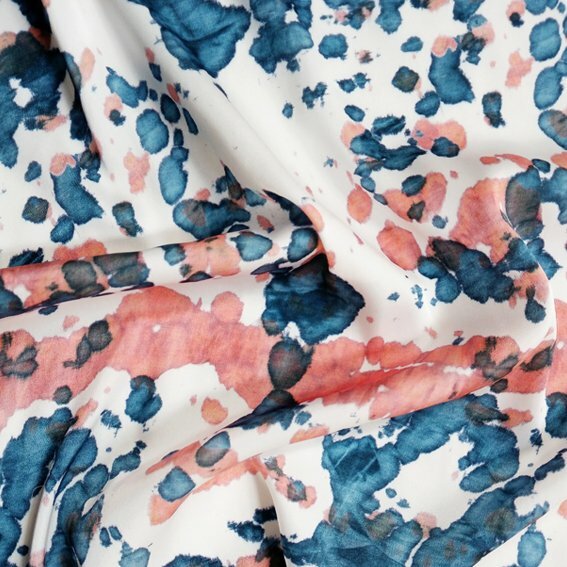 We listed our favorite animal print fabrics below available in our Digital Fabrics shop. Let us know what you would DIY with it because our mission is to help you bring your creative ideas to life! 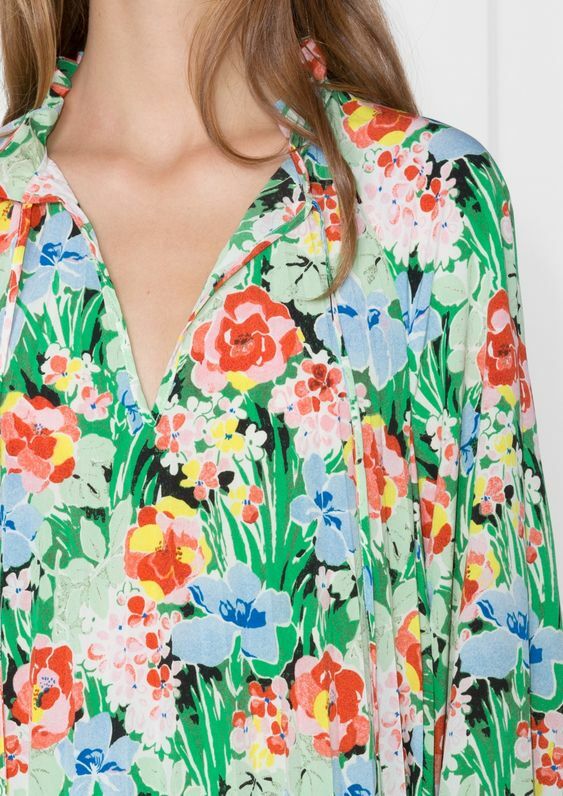 You an never go wrong with floral prints and according to Michael Kors’ Spring 17 Ready-to-Wear collection, this print is definitely in fashion! Use it to to create a beautiful dress like Eryn from Style Sew Me, a pleated bodice circle skirt dress like Oaishe or a chic Spring jacket like Jocy from Pink Chocolate Break. 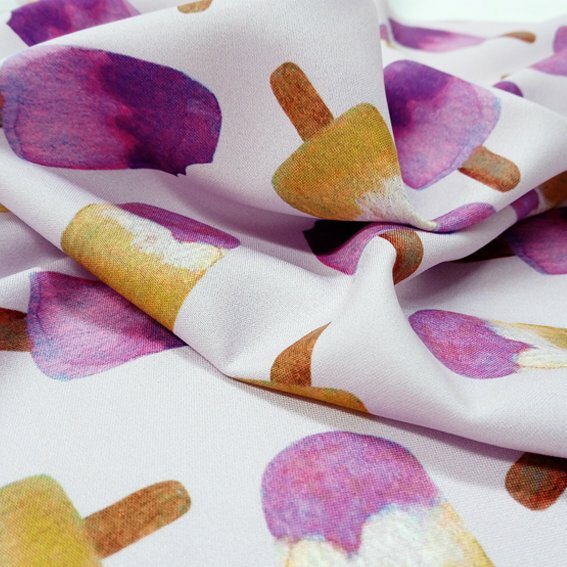 The possibilities are endless and Digital Fabrics likes to bring your creative ideas to life! 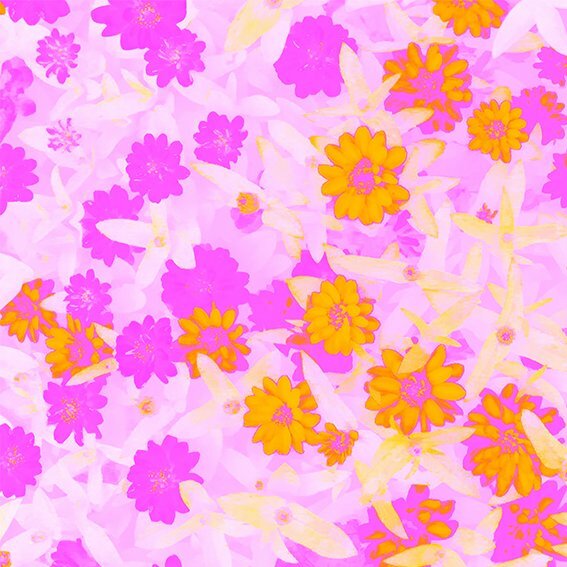 Get inspired with these floral print fabrics and shop the floral print trend in the Digital Fabrics shop. All our products are 100% Printed and made in Australia. If you attended an all uniform school, the upcoming season will bring sweet memories. Schoolgirl jumpers are one of the hottest Fall Winter 2016 trends and what better way to express it than with striped and plaid fabrics? The beauty of uniforms is that you don’t need to think about what you wear and you simply put it on. And with so many young students going back to school (or soon), creating your a uniform with a unique plaid or striped fabric can be a stylish way to combine book smarts with fashion. Get inspired with these plaid and striped fabrics. All our products are 100% Printed and made in Australia. What Back To School fabric is your favorite?